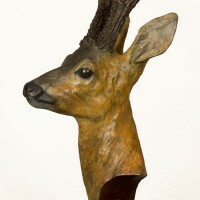 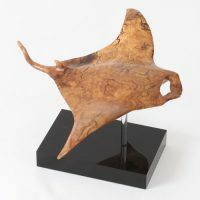 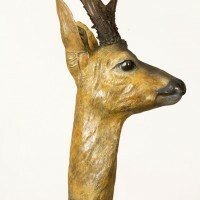 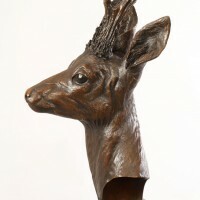 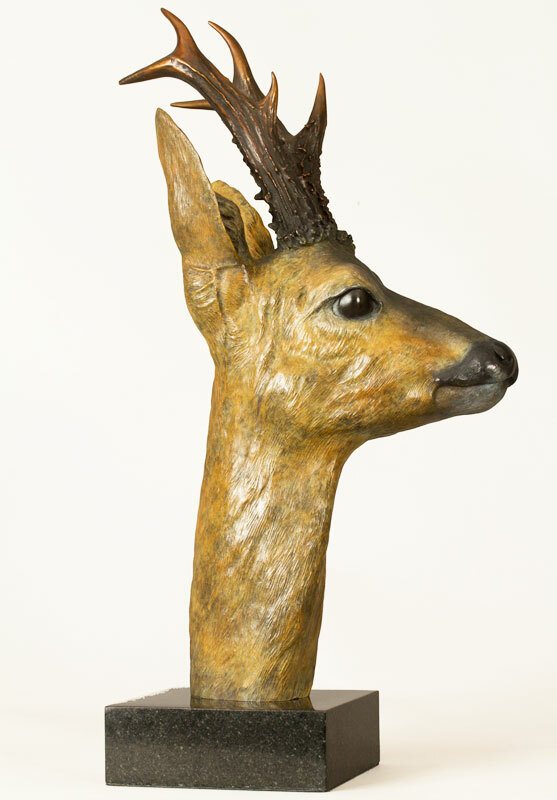 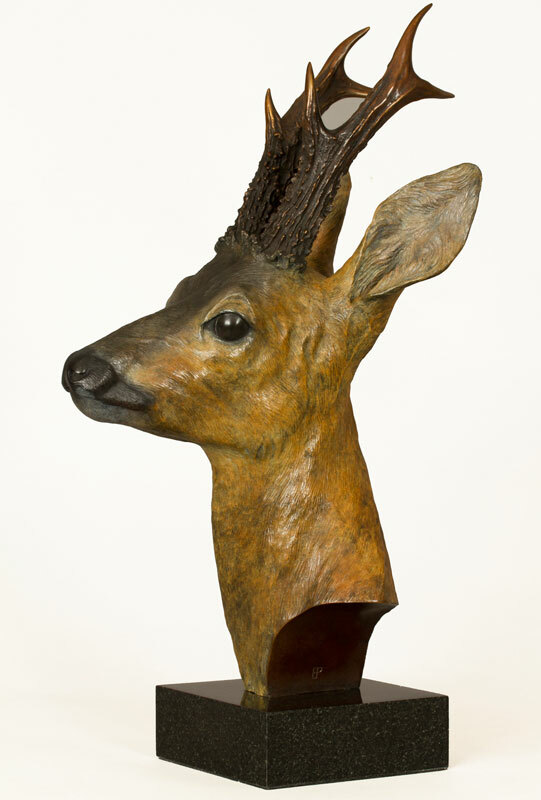 Roe Buck Sculpture-bronze bust by wildlife artist, Bill Prickett. 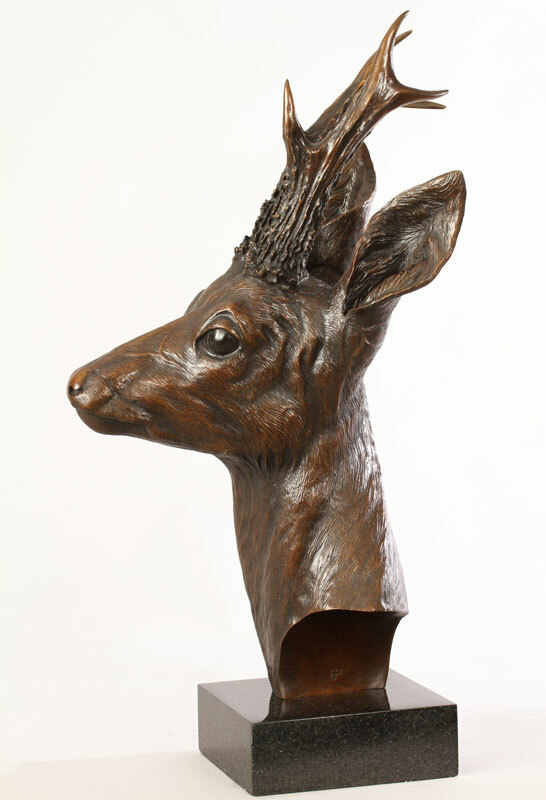 This bronze Roe Buck sculpture is available in two finishes: a coloured patination, or a traditional “antique bronze” effect. 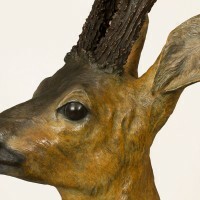 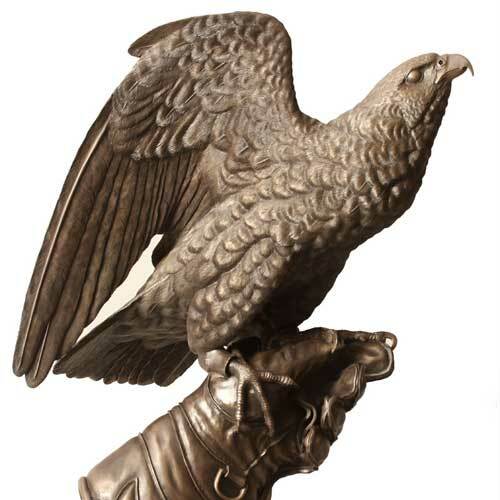 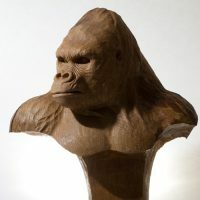 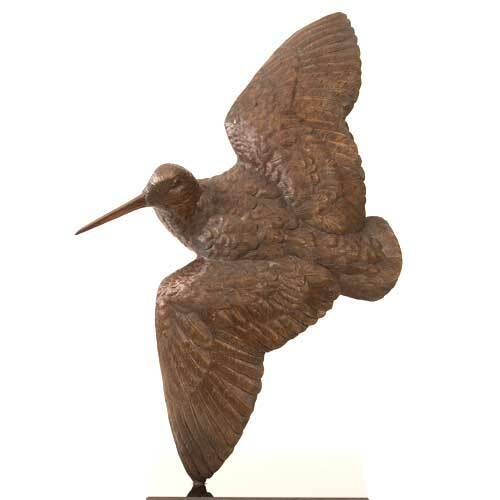 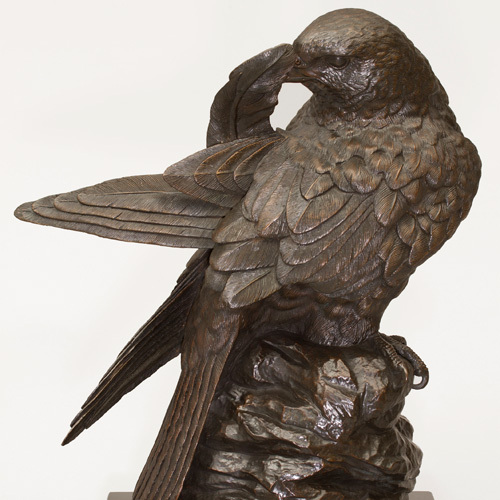 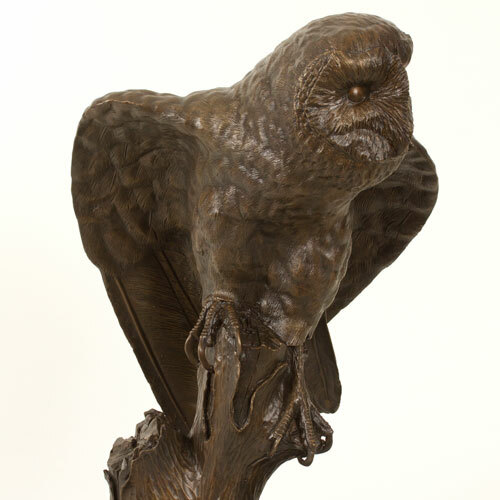 Patination is a traditional heat and chemical process that colours the surface of the bronze, and each piece is patinated individually by hand. 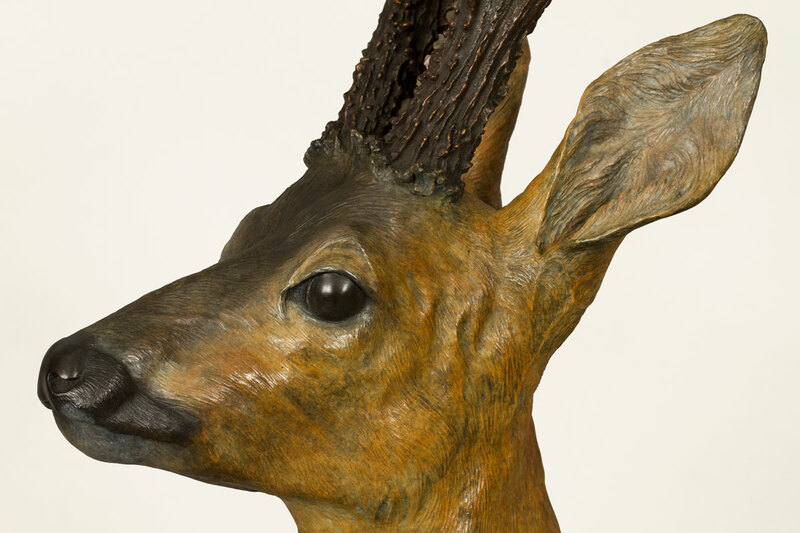 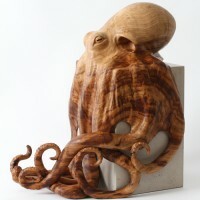 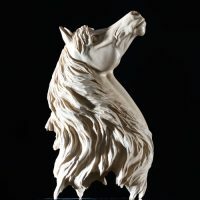 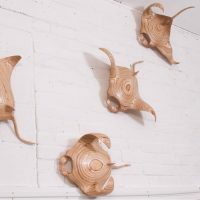 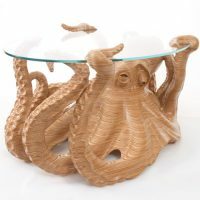 For more information on the patination process click here.